Calling all Game of Thrones theorists! Heading into the eighth and final season premiere on April 14, there are obviously tons of theories flying around about who will take the Iron Throne — if anyone lives long enough. Then again, maybe the new ruler of Westeros doesn’t need to be alive at all. 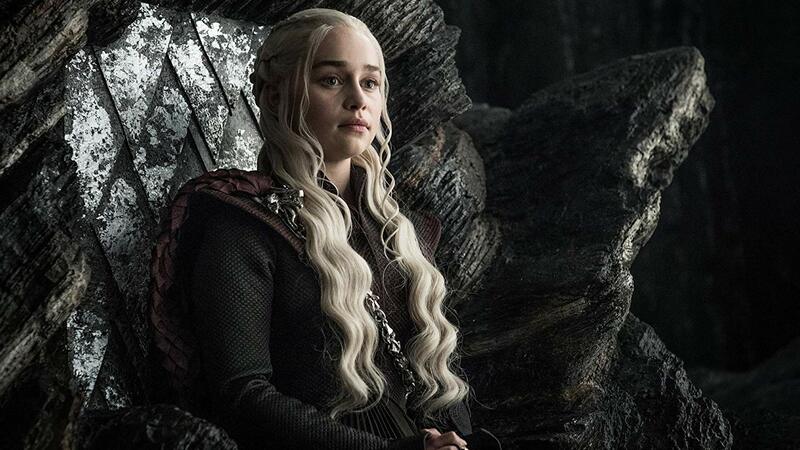 According to a user on Reddit, Daenerys Targaryen (Emilia Clarke) may voluntarily become the Night Queen in the Game of Thrones finale. Say what? Here’s an explanation. Many fans believe that Bran Stark (Isaac Hempstead Wright) is actually the Night King, but this Daenerys theory is predicated on a vision she had in season two. Viewers may recall Daenerys’ vision of walking into the mostly destroyed throne room in King’s Landing while snow falls. She reaches out to touch the Iron Throne, only to pull back when she hears her dragons crying. From there, she leaves the room and ends up beyond the wall with her late husband, Khal Drogo (Jason Momoa) and their late son, Rhaego. Dany doesn’t stay with her human family, though; she goes to find her crying dragons. As noted by one Reddit user in the thread, per Cosmopolitan, parts of this vision have already come true. In Game of Thrones season seven, Daenerys is headed to attack King’s Landing and take the throne by force, when she’s told that Jon Snow (Kit Harington) and company need rescuing beyond the Wall. She also hears her dragons crying when Viserion is killed by the Night King. According to this theory, the last part of the vision — Daenerys leaving Drogo and Rhaego — will be paralleled when her remaining two dragons are killed and turned into ice dragons. The Night King will persuade her to join him and she will turn away from her lover/nephew Jon and their hypothetical baby (yet another fan theory) to be with her dragons, therefore becoming the Night Queen. Could Daenerys become a leader of the White Walkers? What does that mean for the Night King? This theory leaves us with more questions than answers.